Cite page (MLA): "Introduction to the Edition." In Livingstone’s Manuscripts in South Africa (1843-1872). Jared McDonald and Adrian S. Wisnicki, dirs. Livingstone Online. Adrian S. Wisnicki and Megan Ward, dirs. University of Maryland Libraries, 2018. Web. http://livingstoneonline.org/uuid/node/291a3b34-a8f4-4b04-8588-4dced33c640d. This page introduces the critical edition of Livingstone’s manuscripts in South Africa (1843-72). The page begins with an introduction to the edition that explains the scope and goals of the project. The page then follows with a discussion of both the project’s international framework and the institutional collaborations that facilitated the project’s progress and completion. The MLA Committee on Scholarly Editions has awarded Livingstone’s Manuscripts in South Africa (1843-1872) (first edition) the seal designating the edition as an MLA Approved Edition. To date, Livingstone Online has worked with a number of repositories across the UK and elsewhere around the world to digitize and transcribe relevant Livingstone holdings to the highest scholarly standards. The critical edition of Livingstone’s manuscripts in South Africa (1843-72) continues that trend while also marking the first instance of Livingstone Online publishing primary materials from a set of African repositories. Such publication digitally unites a collection of Livingstone manuscripts otherwise scattered across South Africa. In many cases, the digital publication of these manuscripts represents the first time that these items have been made available to the general public. 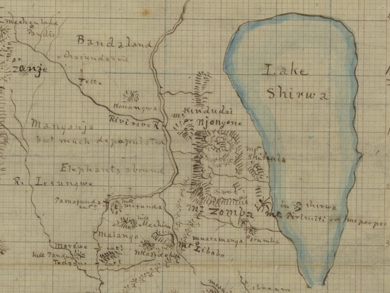 The critical edition of Livingstone’s manuscripts in South Africa provides online access to over 60 manuscript items, the majority of which are original Livingstone letters (1843-72), but also includes a map of central Africa (1855-56), a manuscript fragment of Missionary Travels (1857), two inscribed copies of the foregoing text, and a few "bonus" commemorative items (1955, 1973). Study of these manuscripts is enhanced by the opportunity to read critically-edited texts alongside high-resolution images and by remediation through additional critical essays. By providing free worldwide access to these manuscripts, the edition enables academics, students, and other interested individuals to consult and study these historic documents in a dynamic manner. The critical edition also provides a basis for extending Livingstone Online’s regional scope in southern Africa in the future, with the prospect of including similar projects relating to Livingstone primary materials in Zambia and Zimbabwe. The present critical edition was made possible by the collaborative efforts of several individuals and institutions, led by Livingstone Online associate project scholar and lead contact for South African research Jared McDonald, and site director Adrian S. Wisnicki. A total of six repositories participated in the project, with each institution generously providing either digital copies of their Livingstone manuscripts or permission for such digitization. 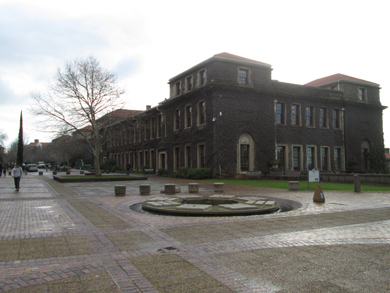 Additionally, McDonald visited a number of the participating institutions and, on separate occasions, joined with Wisnicki to meet archivists and librarians at the National Library of South Africa’s Cape Town campus and at the University of Cape Town Library’s Special Collections. Once the gathering of the digital images ended, further international collaboration followed in the form of critical editing and encoding in South Africa, the US, and the UK and through the development of critical materials, including a long essay on the manuscripts and a project history. Contributions to this process came from scholars based at institutions such as the University of the Free State, the University of Nebraska-Lincoln, the University of Indiana, Queen’s University Belfast, and the David Livingstone Centre, Scotland, a range that underscores the international scope of the project. The publication of this critical edition thus marks the culmination of a five-year undertaking to bring together an assortment of Livingstone’s manuscripts from South Africa in one online location, thereby ensuring digital preservation as well as convenient and perpetual access to the materials for students, academics, and the wider public.